We know that technical language around product image photography can be overwhelming sometimes for sellers so we’ve created this ”cheat sheet” of image file types to help demystify some of the language you’ll commonly hear. Each file type has a different filename extension suffix that appears on the end of the filename after a single full stop. Just like word documents end in “.doc” or “.docx” these tell computers (and you) what type of file you’re dealing with. Below we’ve listed all the image file types and filename extensions so you can quickly identify what you’re dealing with and the typical uses of those file types. JPEGs are by far the most widespread of image file types. 90% of all the product photographs you’ll come into contact will end in .jpg or .jpeg (.jpg tends to be PC and .jpeg tends to be files saved by a Mac in my experience). JPEGs are widely used because they tend to be quite an efficient way to save images at a high quality without the file sizes becoming too large (which would make your website take longer to load). They do this by compressing portions of the image. Sometimes this can lead to the image looking pixelated or blurry if it is compressed too far. Once a JPEG has been compressed there is no way to get back to the earlier quality. JPEGs are also used in print for magazines and newspapers and most smartphones and digital cameras save images as JPEG as a default. The JPEG file type doesn’t allow any transparency. Any see-through parts of an image will automatically be changed to white when it is saved as a JPEG. PNGs are becoming more common on the internet, they are lossless and don’t compress a file when you save it. This means they are especially good for cartoons or images with large blocks of colour. A JPEG version of these images might appear with pixelated blocks because of compression, but a PNG is very good at saving flat blocks of colour and text. A logo on a website would typically be a PNG. PNG’s can also be saved with transparent areas. This means you can save PNGs that don’t appear square on a website because the edges are transparent and show the background through them. 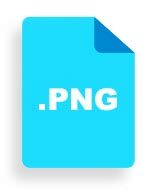 PNGs are also quite an efficient file type so they won’t typically be extremely large files – although photographs saved as a PNG will be usually be larger than a photograph saved as a JPG. GIF files are designed for use online, they can have transparency and even be animated. However, there are limits to how high the quality can be as they have a limited number of colours. A photograph saved as a GIF can often look like a blocky cartoon in parts. They are very useful for animations but tend to have been surpassed by PNGs when it comes to saving images with solid block of colours and transparency. 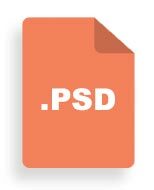 PSD stands for Photoshop Document. As the name suggests they are files designed to be opened by the image editing software Adobe Photoshop. We’ve also created a guide to image editing software if you’d like to know more about what they are and how to start using them. A PSD is usually a very large file and not at all suitable for uploading online – indeed most websites won’t allow you to upload them. However, PSDs serve an important purpose for designers and photographers because they allow lots of functions the other files won’t allow. Similar to GIF and PNG files you can have transparency in a PSD but you can also have layers, filters, paths and many more complex image manipulation techniques. When you save a file as a JPG or PNG all of these different changes to an image are irreversible. But a properly saved PSD file keeps a record of these changes and allows you to undo them or add new ones. A Bitmap file is a precursor to the JPG file type that you could come into contact with. They have several colour and compression setting options that can mean they can be large files if handled incorrectly. They can also look very unusual at certain colour settings. There is no reason not to use a well setup Bitmap file for product photos online but a JPG can often be a smaller and better quality version of the same image. You’re unlikely to come across many TIFF files online as they are a much larger file format usually used in publishing and printing. TIFF stands for Tagged Image File Format and can be either uncompressed or compressed using lossless compression. Lossless compression means files are very large but the best possible quality. This is why they are often what are used for glossy magazines or large print adverts, like a billboard. TIFF files will almost always be far too large to use online and the extra quality of the lossless compression won’t even be noticeable on a screen because there are limits to what they can reproduce. If you have TIFF files or indeed any other type of file mentioned on this page and you’d like to send them to the ClipItQuick.com free clipping trial then we would normally return them as JPGs which are ideal for selling online. We can however return images in your preferred format – just let us know when you submit your images. It’s unlikely that you’ll come into contact with RAW files as they are minimally processed files direct from a camera. If your camera is producing raw files instead of JPGs you might need to check the settings. RAW files are never appropriate to use online as they are the largest image files except for some complex PSD files. Most systems won’t accept raw files as they won’t be understood by most computer systems. Sometimes photographers will use RAW files because they have the specialist image editing software required to edit them and change them into PSDs or TIFF files for use in print or online. If you’ve got a file type that isn’t featured in the list above contact us and we’ll identify it for you and update our list here! Our final guide on product photography is about free image editing software you can use to improve your photos. Or you can move onto thenext guide on how to set up your camera settings.